Enjoyed looking through the site? Interested in finding out more? Then why not join the team? 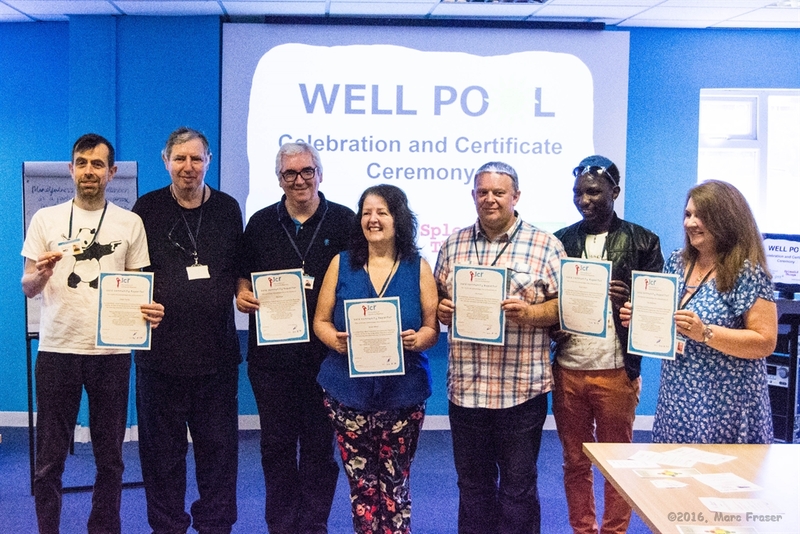 The WellPool project is maintained by a group of like-minded folk who meet on a fortnightly basis to chat about different wellbeing topics – from healthy lifestyles, diabetes to mental health, and everything in between. At these sessions, the team records these discussions as blog posts using the written word, photos, audio clips and videos so that our online audience can get involved in the discussions. At the sessions there is always someone on hand to help you to develop your blogging and media skills, so total beginners are welcome! As well as keeping the site up to date, the team also moderates Well Pool on a regular basis in-line with our editorial guidelines, discussion guidelines, and submission of content procedures. The team are supported by a mix of Kindred Minds and PSS staff members, and facilitators and techies associated with the project. From 11am – 1pm at The Croissant of Inequality, 53-57 Holt Rd, Liverpool L7 2PN. The sessions are FREE to attend and are open to everyone. Pop by, and get involved!